Home » Articles » 189. 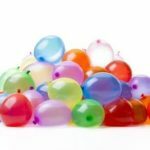 Fluid Retention, Why Does Your Body Do That? Your body is ingenious! It can heal itself. It can restore imbalance, heal wounds and heal broken bones. The body can do so incredibly much! We don’t know even the half of it yet! Scientists spend their whole lives studying 1 aspect of the human body and with all scientists together we have an increasing amount of insight. Still, how our bodies function remains a mystery. We don’t become aware of it until we have problems. If we understand why the body creates them, we can prevent many health problems. That’s why I’m telling you today about a new reason for insufficiently functioning fluid management. In article 152, “Fluid Retention, Oedema and the MIR-Method”, I told you about other causes of this. Today, I’d like to look at a new cause: shame. The body consists of about 60% water. This is an incredibly large amount! Your brain consists of even more, 80% water. So I wonder sometimes, what would remain if you were to take all the water out of it?! In the field of education, people are wiser and students are allowed to have a bottle of water with them, especially during exams. If your brains have too little water, your concentration diminishes immediately! You body needs fluid. To keep joints supple, for good skin and shiny hair, to get rid of waste products, to keep your blood thin and to remain healthy. The fluid that moves around your body can be found in every cell of your body and between your cells. And you’re probably also familiar with the lymphatic vessels that transfer water to your blood. Sometimes, your body has inflammation. Your body causes fluid to collect around a particular spot. For example, a painful knee. Swelling develops there. The reason for this is the body wants to bring healing substances to your knee. The substances are in the fluid. All that fluid causes swelling which causes your skin to become tightly stretched = pain! And.. that’s good! Because your body wants you to rest your knee for a few days and not move it. Healing in progress! So… painful knee? Give it a rest! There are also situations in which the whole body retains fluid. Or, only in the legs. They swell up like a balloons. The more you drink, the fuller you feel. Why is that? And why does your body do that? There are several medical reasons for this; please see article 152, “Fluid Retention, Odema and the MIR-Method”, but there is also another reason. Why do you retain fluid? You don’t drink enough.That may sound contradictory, but if your body doesn’t get enough water, it will hoard it! And how contradictory it may sound, if you retain fluid, you have to drink more! Drink at the very, very least 1 liter a day! Put a big pitcher of water on your counter or desk and be sure to empty it. But… why do you drink too little? Not thirsty? Unconscious problems with water? Read article 93, “Six Reasons for Water-Drinking Problems”. You only drink soda. Soda causes an overdosis of sugars in your body. Your body fights to hold onto the small amounts of water and hoards them. Replace soda with water! And maybe this video from Foodwatch will be an incentive to think about soda. A confrontational video for sure but very clear about what soda causes. Your body is holding onto shame. This is one of the special discoveries. People who subconsciously have shame within them retain fluid. It’s as though the water retreats into the tissues and doesn’t want to flow anymore. I’ve often seen this in my practice. When clients let go of their shame, everything flows again: energy, willpower and fluid. Clients report that they have to pee a lot the first few days! My question for you is: what are you ashamed of? Have you ever done something that you are ashamed of? Is it something about your appearance? About not being “successful”? And if you can’t find anything, see if one of your parents, or maybe a grandfather or grandmother, was ashamed about something because you can have absorbed the shame of one of them as a child. Look at this and get it to the surface. Then do the MIR-Method, the 9 steps, to get the shame out of your system. By becoming conscious of it, you can let go of it. I’d love to hear from you. Please write below. Thank you! That you can get rid of your shame forever! Aren’t shame and being ashamed two different things? I have been ashamed of things I’ve done in my life but I believe I still carry shame about who I was when I was little. I have been on a healing journey for over 40 years and the last 15 have been through energy medicine which has catapulted me so far much further in healing than anything ever did before that. I do however know that I still have shame from my childhood/teenage years and it’s not because of anything I did but because I thought I didn’t matter. I guess I still have that in me because as I type this my eyes are welling up with tears. And thank you for all that you do because I have been using the MIR method for a couple of years. I retired last August and it seems to me I must have inadvertently retired from MIR because I kept forgetting it to do it twice a day so I’ll start back up now because it really did help me prior to retirement. Thank you again. When you retire you enter a total new phase of your life. 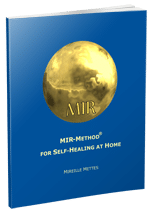 Thank you for picking up the MIR-Method again, because I think it will really support you in your coming years. Wishing you lots of luck! And yes, shame can have many forms. It can be embarrassment of shyness. It is also possible to carry the burden of someone else’s shame. Maybe that can give you a hint too? Wishing you a great sense of freedom! Thank you.. , it is shame and fear circling around. You are so right. Please have it go away. Just keep doing the 9 steps and the fears will go away! Keep trusting your body is strong and can really overcome it!